Every school has its share of bullies and most kids have heard the refrain,”Oh he’s just a big bully, don’t pay any attention to him and he’ll leave you alone.” How many recall receiving guidance like that growing up? I am afraid too many of us remember and would like to forget. 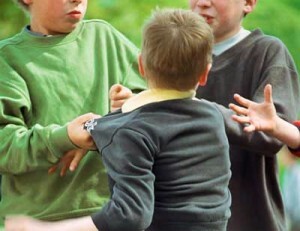 It seems that bullies come with the territory when one goes to school, or that is what many of us have come to believe. They roamed the halls and stairwells, or loitered in rest rooms. They were always not far from the locker room, were always lurking on the playground at recess, rode the school bus, and they always seemed to appear when no teachers or administrators were around. And yet everyone seemed to know who they were and what they did. They loved knocking your books out of your hand, destroying your homework or favorite baseball card, or just taking it. They loved to tease, hurt and intimidate you, or take your lunch or lunch money. Sometimes embarrassing you seemed to be the goal of their day, from making fun of how you looked or dressed, to pulling your gym shorts down when the girls went by in gym class. Oh yes, bullies were just part of the territory going to school—just one of those necessary rites of passage we were told, and one that we would have to confront on a daily basis. Well, not any more! Enough is enough, as they say, and finally people need to take it seriously and call it what it actually is—assault, battery, menacing, theft, intimidation, harassment, destruction of private property and the list goes on. Students need to speak up. They need to tell their parents, teachers, or school administrators. And these adults and persons in authority need to be responsible and take action. In fact, they have a fiduciary obligation to children in their care to do so. Bullying is no longer to be tolerated or excused. I submit that most teachers and administrators know who the bullies are in their building, and they know where bullying occurs. It’s time to let the school community know that bullying will no longer be tolerated and that those that bully will be dealt with. Turning a blind eye, is no longer an option. No child should be humiliated, intimidated, or made to fear going to school by some punk or punks be they male or female. Bullies may have their own emotional problems, most do, but frankly, that is a secondary concern. The first issue to be addressed is protecting the innocent, not the aggressor. If the concept of zero tolerance has any place in schools, it most certainly should be applied to bullying and bullies. Make no mistake, bullies are both male and female. 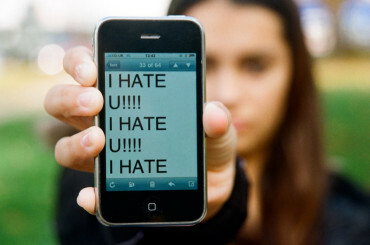 Their methods may differ – from physical intimidation to cyber bullying on the internet, but the results are the same. Victims of bullying, both girls and boys, have been found to have problems with depression, anxiety, low self-esteem and poor school attendance, resulting in poor school performance. Bullying has also resulted in suicides. It is important to help create a school environment where all children feel safe and can learn to the best of their abilities. It should no longer be a place where bullies and bullying are just part of growing up. Ignoring the problem will not make it go away. Policies should be developed or reexamined and plans implemented to attack the problem from the very first day of the school year. School administrators, teachers, staff, students, parents and the community need to be involved. All should be informed and forewarned that bullying will not be tolerated, and swift and deliberate action will be taken if it occurs. Excellent and very important post. Bullying is an abominable thing, but I wonder what it is that makes children (and adults) into bullies. In addition to zero tolerance of bullying, shouldn’t there also be efforts to understand the dynamics that leads to bullying in the hope of reducing the incidence of bullying in the first place? I agree Barney, but first we need protect those being bullied. For the past 15 years, I have studied the bullying phenomena to pinpoint how it is learned in our society. It is a subtle process, and it starts at a young age. There are experts Tim Field, Jay McGraw, Rachel Simmons, Al Houck, Gary Namie, among others, who have yet to solve the problem, but just tell the “victims” that we have to have tougher skin, or move out, or change jobs, and document everything. The bullies have more rights than the victim. How do we change that in our society? No where in any of the research did I find a page or paragraph about the bully to just stop their bad behavior. “I don’t appreciate projections of your shortcomings on to me. Please just stop” may work for some, but it just isn’t enough. If you look at most Victims, the bullies are just jealous OF something about the Victim. Bottom line, it is jealousy. That line I used in school of ‘you’re just jealous’ is so true. Yet, they can’t pinpoint what the jealousy is about. In the workshops I have attended, no one yet has a end to bullying. It gets reflected back to the burden of responsibility on the victim to change tactics. Never the bully. I hope one day they all wake up to the damage inflicted upon others. I want to be part of that change. I don’t want another child, or adult to deal with this bad behavior. it is not a necessary part of our human culture. Re: understanding the dynamics that lead to bullying – it’s not that hard to understand the most important operative dynamic. Bullying is acting on a belief, by a more forceful entity, that it can impose an unjust reality on a more passive entity with impunity. In other words – the main reason bullying happens is because bullies believe they can get away with it. Thanks for the exhortation to help society evolve. It’s gotten me thinking of ideas to write about in my next blog post. Peace! We are understanding more and more everyday the abuse/victim dynamic. Abusers are often narcissists and do not operate in the same psycho/emotional arena as your average child. Chances are good they are begin abused/bullied at home. I agree that the issue needs to be addressed from both sides. Victims benefit from learning where they might find their power and ability to keep themselves safe. (Makes me think of the lessons you learned from Mr. S) Abusers need to be made to stop by those in authority or suffer consequences. Not easy in the public school climate. I would like to add, what of the child that goes home to a bully, a bully that he or she calls Mom or Dad? How do we protect them? How do we keep them safe from the damaging affects of relentless shaming, cruelty and physical and psychological abuse? It is a double whammy for someone who is bullied at school. You have raised a really important question. One that needs to be explored, but how to even begin? Thank you for so eloquently siynag what I’ve been trying to say for the last few posts over there at SDL. “Breaking Free from the Victim Trap” is an old book, but it explains, in detail the “game” you refer to. It’s played at home, at school, at work, in government and nationally. Making people aware of the game, and how to rise above it IS key. Thank you, Thank you, Thank you!